Read More "The U.K.’s Government-Run Healthcare System Is Working Wonderfully…for Bureaucrats | International Liberty"
Read More "A Primary Care Panel Size of 2500 Is neither Accurate nor Reasonable"
Read More "Debunking Media-Supported Myths about DPC: A Conversation with Dr. Brian Forrest — Hint Health"
Most of the care you’re receiving isn’t patient-centered. Here’s why. There is no excuse for the lousy service people get from our system. Source: Most of the care you’re receiving isn’t patient-centered. Here’s why. Read More "Most of the care you’re receiving isn’t patient-centered. Here’s why." 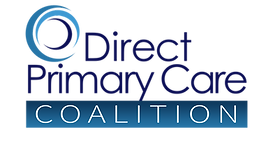 Read More "The Solution to Making Our Healthcare System Affordable May Be a Lesson From Our Past | Jeffrey Gold | LinkedIn"
Read More "Beyond the Financials: DPC Promotes Better Patient Care & Service | Robert Nelson, MD | LinkedIn"